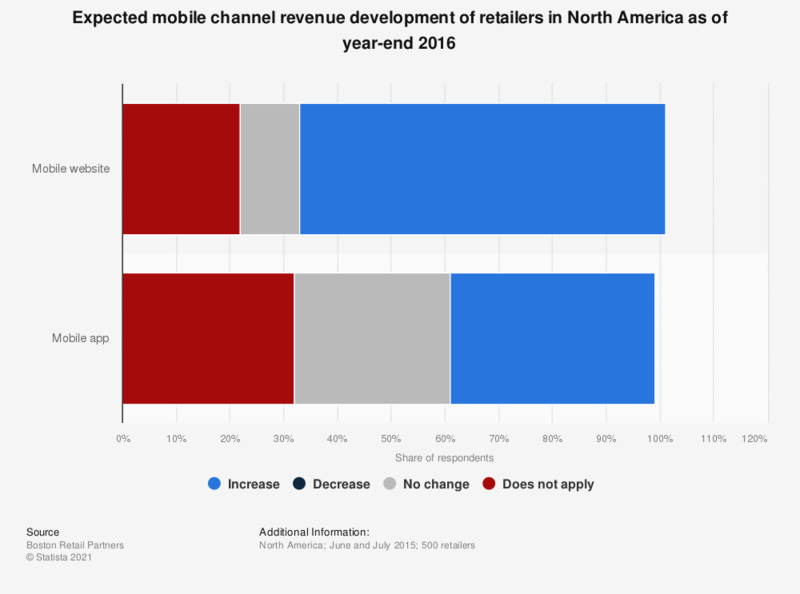 This statistic illustrates the expected mobile channel revenue development of retailers in North America as of July 2015. During the survey, 68 percent of respondents stated that they expected their mobile website revenues to increase by end of 2016. None of the respondents expected a decrease of mobile revenues.